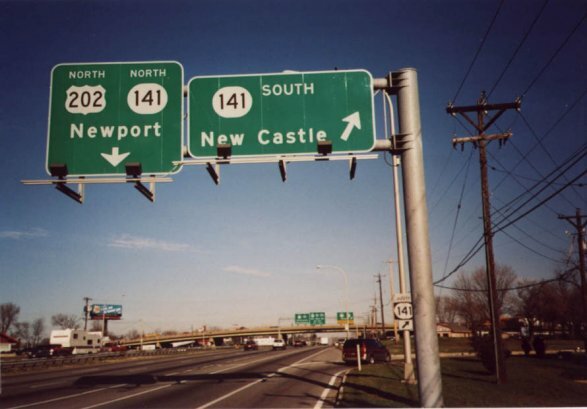 Guide signage along northbound US 13/40 at the interchange with US 202/DE 141. 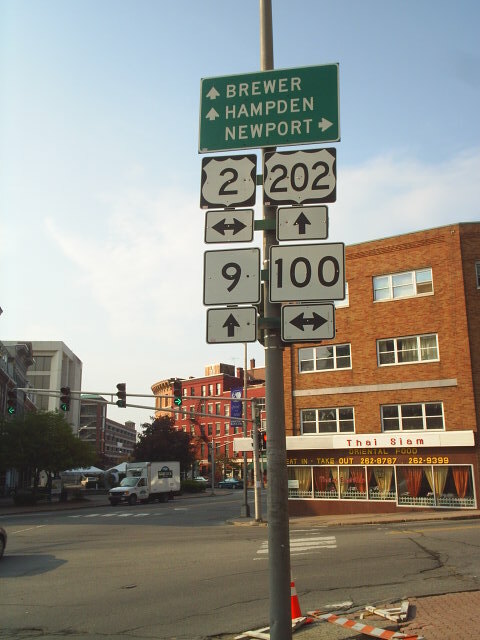 US 202 begins its northbound trek here, duplexed with DE 141. Photo by Alex Nitzman. 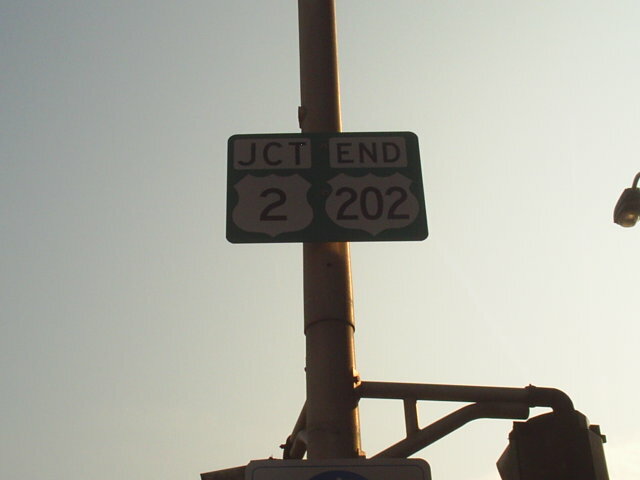 END sign on a lamppost at US 202's north/eastern terminus in Bangor. Photo by Doug Kerr, taken June 11, 2005. Looking westbound from Central St at the State St/Central St/Main St intersection in Bangor. US 202 begins straight ahead at the traffic light. Photo by Doug Kerr, taken June 11, 2005. First westbound reassurance shield. 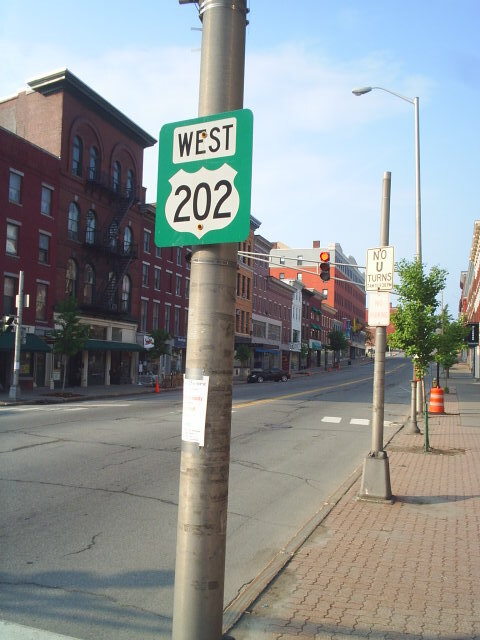 Maine signs US 202 as an east-west route. Photo by Doug Kerr, taken June 11, 2005.